Here is a list of 10 latest and best laptops under Rs 35000 that has best in class processor and RAM to make your multitasking smooth. Yes, they all got HD display so that you can get clear visuals to watch your exciting movies. You can play high graphics games through their powerful graphics engine which makes this list perfect for gaming freaks. You can run games and play HD movies, mp3 through their CD-ROM. If you want to go somehow on the low budget laptops then you can read our article on Best Laptops Under Rs 40000 with graphics card in India and Best Laptops Under 30000. Many people enjoy the larger displays, attached keyboards and increased flexibility of laptops instead of cellular devices. If you’re one of these, but do not need to break the bank on the following purchase, these laptops provide excellent power and use for less than Rs 35000 to get a brand new machine. You do not have to feel like you’re settling when shopping for a notebook under Rs 35000. There are value-priced notebooks which have full-HD displays, strong performance and battery life, lightweight design, good battery life, plus all of the ports you need. You can also get a 2-in-1 with a touchscreen in this price range, though it’s going to be on the smaller side. Note- All the laptops are listed randomly.There is no ranking are provided to these laptops. According to me all the laptops under 35k are best and has powerful configurations. The Acer Aspire E5-575 (NX.GE6SI.016) Laptop comes with windows 8.1 which runs on Intel Core i5-7200U (7th Gen) with 4 GB RAM. It also has Intel HD 620 graphics engine to make your video and gaming experience hassle-free. It comes with 15.6-inch LED-backlit display which has a resolution of 1,366×768 pixels. It is a lightweight laptop with 2.0 Kg weight and 23.3 mm thickness. It has 1 TB HDD and has 4 cell Li-ion battery. Acer Aspire comes with lots of connectivity options that can make your internet experience smoother. With good RAM and fast processor, it is a worth to put money on. Dell Inspiron 3567 is a laptop comes with 15.6 inch HD LED Backlit Display with Truelife display. Over the body is has 25.8 mm thickness and has 2.5 Kg weight. It is powered by Intel Core i5 Processor (7th Gen) with 4GB RAM which is expandable up to 8GB by 2 DIMM slots. For gaming and video playback it has Intel HD graphic engine. t has massive 1 TB onboard storage and has 4 cell Li-ion battery which able to give the 3.5-hour charge. It comes with DOS which means you have the choice to install Operating system of your own choice and has lightweight and powerful processor. Silver and black design give it a perfect look. Lenovo Ideapad G50-70 Notebook comes with 15.6-inch HD LED Display with the black color variant. It is 29.2 mm in thickness and weighs 2.5 Kg. Under the hood, the laptop runs on Intel Core i3 processor (4th Gen) and has 4 GB DDR3 RAM which is expandable up to 16 GB by 2 DIMM slots. Its AMD Radeon R5 M230 graphics engine is quite enough to run your heavy games and videos. For your non-stop entertainment garage, it has 1 TB onboard storage an had 4 cell Li-ion battery. If you are looking for a good laptop with excellent performance under Rs.35000 than its Intel Core i3 processor (4th Gen) can be your choice. The Dell Inspiron 15 5559 (Z566136HIN9) Laptop is filled with a 15.6-inch HD LED Backlit Display with Truelife display technology. It is 26.6 mm in thickness and 2.3 Kg in weight. The Laptop has a faded silver end which gives it a top rate feel. The heart of the laptop is filled with a 2.3 GHz Intel Core i3-6100U CPU from the 6th generation. It comes with 4 GB DDR3 RAM which can be expandable up to 8 GB. The laptop handles traumatic movies and games with the inbuilt Intel HD 520 graphics engine. It runs Windows 10 that is a good thing about it. The storage branch comes with a 1TB SATA HDD. Its non-stop juice is provided by 4 cell Li-ion battery. The laptop features additional options like USB 2.0 slots, USB 3.0 port, HDMI. Its good webcam, excellent RAM and processor, decent look and a smooth gaming experience makes this laptop worth in your hand. The HP 15-ac098TU (N4F84PA) Laptop has a 15.6 inch HD LED Backlit Widescreen Display which doesn’t make your eye strained even after long use. The simple silver and black colored outfit have a thickness of 22.4mm and a weight of 2.19 kg which is considered a very lightweight design. The touchpad helps multiple gestures and the keyboard resists accidental spills easily. Inside it is loaded with Intel Core i3-5010U (5th Gen) processor. For dealing with multitasking, there’s a 4GB DDR3 RAM. The presence of Intel Graphic engine is quite impressive that is able to make your heavy video play easy. It has preloaded windows 10 os. The laptop has 1TB SATA HDD operating at 7,200 RPM. It claims to offer up to 3 hours of backup with a 4 cell Li-ion battery. Moving on to the additional capabilities, we have WLAN, Bluetooth v4.0, HDMI out, 2 USB 2.0 ports and a pair of USB 3.0 slots. The HP 15-ac098TU (N4F84PA) Laptop, despite being priced modestly, it packs a bunch of smart functions. If you love HP laptops, then this could be your first choice of HP laptops under Rs.35000 in India. The Acer Aspire E5-575 Laptop has a 15.6 inch HD LED Backlit Display with Truelife supplying a resolution of 1,366 x 768 pixels. It comes with a black colored body and brushed keyboard deck. It measures 25.8 mm in thickness and has a weight of 2.23kg. Inside, the laptop is geared up with an Intel Core i5 Processor (7th Gen). It supports 4 GB DDR4 RAM. The Intel Integrated HD Graphic processor with 4GB DDR4 RAM has the power of dealing with the disturbing graphic. It relieves the consumer of any type of garage troubles with a 1TB SATA HDD. The laptop is fuelled by using a 4 cell Li-ion battery claiming to provide up to 4 hours of service without any disturbance. The Acer Aspire E5-575 Laptop is a well-designed laptop inside a modest rate. It is quite heavy and thick as compared to other laptops in this list. Anyway, despite these cons, this laptop is a good performer at this price. Dell Inspiron 15-3567 Laptop runs on 2.0 GHz Intel Core i3 Processor (6th Gen) Processor and has 4 GB RAM which is expandable up to 8GB. It also has Intel HD 520 graphics processor to make your better gaming experience. To make UI user-friendly it is loaded with windows 10. It’s 15.6’’ HD LED Backlit Anti-glare TN Display is quite enough to impress you. The laptop comes with turbo silver color finish with very slim body panel of 24.3mm. It is quite lightweight with a weight of 2.2 Kg. It has HDD Capacity of 1 TB and has 4 Cell Li-ion battery. This laptop is a good pick for gamers who want to play PUBG and Fortnite and heavy HD video watcher. Good RAM and processor makes this laptop value for money. Dell Inspiron 15 5000 5567 Laptop runs on 2.1 GHz Intel Core-i3-5010U Processor of 5th Gen and has 4 GB RAM which is expandable up to 8GB. It also has Intel HD 5500 graphics processor to make your better gaming experience. To make UI user-friendly it is loaded with windows 8.1. It’s 15.6’’ HD BrightView WLED-backlit Display is quite enough to impress you. The laptop comes with turbo silver color finish with very slim body panel of 24.3mm. It is quite lightweight with a weight of 2.14 Kg. It has HDD Capacity of 1 TB and has 4 Cell Li-ion battery. SuperMulti Drive with DL, DTS Sound+, Touch with Multi-touch Gesture support. This laptop is a good pick for gamers and heavy HD video watcher. Good RAM and processor makes this laptop value for money. HP Pavilion 15-BE015TU (1DF78PA) Laptop comes with DOS and it runs on Intel Core i3-6006U (6th Gen) with 8 GB RAM. To make your gaming experience smoother it has Intel HD 520 graphics engine. It comes with a black color variant with 15.6 inch HD SVA BrightView WLED-backlit display. It has 24.3 mm thickness and has weight of 2.1 kg which feels good in the hand. It comes with HDD capacity of 1 TB and has 4 Cell Li-ion battery. HP TrueVision webcam, 2 USB Slots, DTS Sound+ speakers, 8x super-multi DVD RW Drive. The laptop has all the features that are able to handle your heavy multitasking. Slim design and light weight are the pros of the laptop. 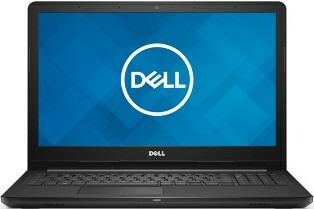 Here is a Dell Vostro 3468 14-inch laptop I was talking about which comes with a 14- inch HD-anti glare display. It is a very slim and lightweight Lenovo model with 21.8 mm waistline and weighs 1.75 Kg. It operates on the Windows 10 operating system. You can rotate it according to your need. Under the slim design, it has Intel Core i3-7100U processor (7th Gen). For smooth gaming and video playback, it has Intel HD graphic engine. It has 5TB onboard storage to store your entertainment and 4 cell Li-ion battery to keep you charged up to 5 Hours. Go for its slim, compact and lightweight design which you can carry anywhere you want without worry about portability. This laptop is perfect for college going students. One of the best things you can do when looking for the best laptop of 35000 price range is to read unsolicited consumer reviews. These typically contain honest answers from consumers that have already bought the laptop. You will be able to narrow your choices based on consumer reviews. Most folks are more than happy to share when they are dissatisfied with a product. 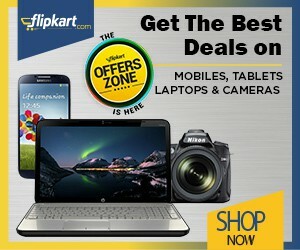 This can prove to be valuable information when you are trying to decide which laptop to buy. Taking a few extra steps can go a long way when buying a laptop. There is no worse disappointment than spending a big chunk of money only to find that you did not get what you thought you were getting or spending a big chunk of money on a laptop that has far more features than you will ever use. Approach buying a laptop as an informed consumer, do the research and evaluate your personal situation so that you can get a reasonably priced laptop that you will use for years. It is far better to make informed decisions than it is to run out blindly and be talked into a laptop you won’t be happy with. Do this, and finding the best laptops for 35k is a lot easier. So, this is a list of best laptops under Rs 35000. All of the laptops on our list may be used to browse the world wide web, play high-definition movies and edit office files without skipping a beat. For most customers, this is more than sufficient. Hope you found your best phone and got the benefit of our article. All the listed laptops have a good webcam, sound quality, and DVD writer. Do share the article with your friends.